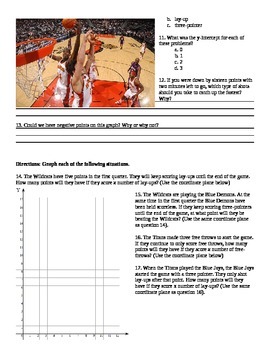 Students explore slope through a basketball theme. 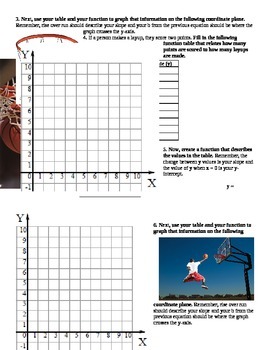 This worksheet explores slope on a graph, in a table, and in an equation. 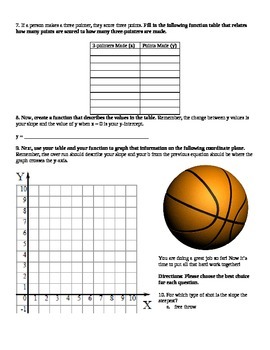 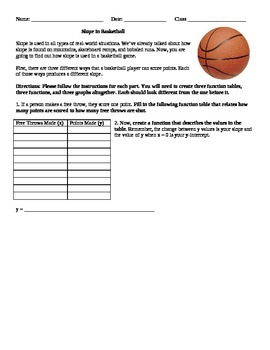 Students apply their knowledge to answer real world questions all revolving around basketball Would be great as a class activity, or group work for solidifying students' understanding of linear relationships, and slope.